THE B-MOVIE NEWS VAULT: New DVDs & Blu-rays for 09/27/2016! New DVDs & Blu-rays for 09/27/2016! HOLY SMOKES! IT'S THE B-MOVIE NEWS VAULT'S 200TH POST! Egads! September just flew by Vault Dwellers, and it is leaving us with a flood of genre titles on DVD and Blu-ray! 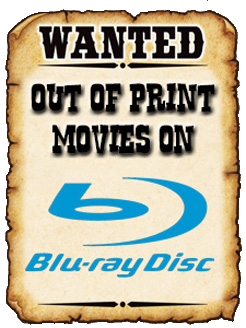 Put your bank accounts on suicide watch because this week will be a real punch in the gut for those of you who just can't say "no" to awesome Blu-ray releases! Lionsgate finally unveils the first two titles of their flagship Vestron Collector's Series, namely CHOPPING MALL and BLOOD DINER! Arrow Video fires back with a Special Edition release of Juan Piquer Simon's SLUGS, Scream Factory, finally satisfied with the final product, has released a great Blu-ray disc of LADY IN WHITE, parent company Shout! Factory debuts their first animated feature, HOWARD LOVECRAFT AND THE FROZEN KINGDOM, and sister label Shout Select knocks it out of the park with the highly anticipated BILL & TED'S MOST EXCELLENT COLLECTION! If that weren't enough, Universal just released a new "Restored Edition" of AN AMERICAN WEREWOLF IN LONDON, Blue Underground has added THE SHAPE OF THINGS TO COME to their growing Blu-ray library, and the Warner Archive Collection has brought back numerous genre titles from limbo on DVD, including both live-action GUYVER films, Tobe Hooper's THE MANGLER, and a slew of other Horror classics! So take a deep breath fellow collectors, and try to remain calm as you scroll down and see everything that's available this week! New DVDs & Blu-rays for 09/20/2016! New DVDs & Blu-rays for 09/13/2016! New DVDs & Blu-rays for 09/06/2016!